The Indian Open was only introduced to the Snooker calender for the 2013/14 season, and became the first ever ranking event to be held in India. This season’s tournament was due to be held in September, but was postponed because of local elections in the Mumbai area and rearranged for March. It’s already a congested month on the Snooker calender and, as many predicted, several of the top players have elected to stay at home rather than contest the tournament. The likes of Ronnie O’Sullivan, Neil Robertson, Mark Selby, and Shaun Murphy are all staying away, and that means that this year’s tournament has been left wide open. Despite the absences, there are still a number of the world’s top sixteen in attendance, and it promises to be a riveting competition. Ding Junhui will hope to recapture his form and retain the title he won here in 2013, while Judd Trump will aim to go one better after losing the finals of both the UK Championship and the Champion of Champions tournaments to Ronnie O’Sullivan this season. Senior players, Mark Williams and John Higgins, also come into contention, and both have shown signs of a revival in form of late. Higgins won the recent Welsh Open, beating Ben Woollaston in the final, and with confidence restored there’s a bit of each-way value about the former world number one. The absence of some of Snooker’s star names has left Judd Trump as the clear favourite for the title, and he has been in good enough form lately to suggest he has a great shot at winning the tournament. After winning the Australian Goldfields Open in 2014, he went on to compete in two finals later in the season – the UK Championship and the Champion of Champions tournament. He was defeated on both occasions by a sensational Ronnie O’Sullivan, but after the UK Championship final, which went to a deciding frame, Ronnie described it as the hardest match of his career – praise indeed for Trump. He failed to qualify for the first Indian Open, so he has no experience of this competition to look back on, but the current world number six has plenty in his favour. Junhui won the inaugural Indian Open, but he’s struggled to recapture the form of that 2013/14 season when he equaled Stephen Hendry’s record of five ranking titles in one season and rose to number one in the world rankings. His best results this season have been semi-final appearances in the Shanghai Masters and the Champion of Champions tournament, but he was knocked out in the first round of the Masters recently by Joe Perry. He’s dropped to number four in the world rankings, behind O’Sullivan, Robertson and Selby, and will be looking to this tournament to play his way back in to form for the upcoming World Championship. Like Judd, Junhui has got more than enough ability to win the competition, but it would be a gamble on him coming back to form after some disappointing results. 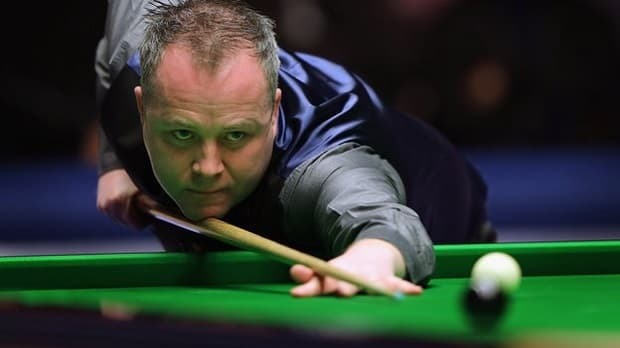 One man who is certainly reliant on form and confidence is John Higgins, and he should be feeling good after winning the Welsh Open to claim his first ranking title for two and half years. Higgins has spoken remarkably freely in the past about his struggles with confidence over the last few seasons, and despite a long and distinguished career to look back on, it highlights the importance of self-belief in any sport. Over the last few months he has steadily been improving in form (and confidence), starting with a last 16 finish in the UK Championship which helped him to retain his place in the top 16. At the Masters he lost to Mark Allen in the first round, but he hit three century breaks and after the game said that he felt his form was coming back and that he’d been gaining ‘nuggets of confidence’ from his performances. That return to form came to prominence in the Welsh Open, where he took a record fourth title, by beating Ben Woollaston 9-3 in the final. With so many top players missing, and with Higgins back in form and feeling confident, he looks to have a good chance at the Indian Open, at a decent price. The same could be said of another senior player, Mark Williams. He’s similar to Higgins in that he’s a former World Champion who is just about holding on to a place in the top sixteen. He’s had a good season which has seen him reach the last 16 of the Shanghai Masters, and the semi-final of the International Championship where he was only beaten 9-8 by Mark Allen. He reached the last 32 of the UK Championship and the German Masters, and has continued to improve in early 2015, reaching the semi-final of the Welsh Open, and the final of the Gdynia Open in Poland. He’s also tasted victory in the World Seniors Championship, winning the tournament on his debut appearance by beating Fergal O’Brien 2-1 in the final. He’s a player with a serious pedigree and the circumstances of this tournament, with so many players missing, have left him in with a real chance of going far. While Judd Trump and Ding Junhui are the two stand out players at the top of the market (currently ranked 6th and 4th respectively), they could both be beaten by the likes of Higgins and Williams on their day, and at the prices it makes more sense to have an each way bet, with most bookies paying out 1/2 the odds for a top two finish. With that in mind, both Higgins and Williams make plenty of appeal at 12/1 13.00 +1200 12.00 12.00 -0.08 and we’re going to side with Higgins on account of his recent return to form at the Welsh Open.